June 9, 2007 Ousmane Sembene, writer and “Father of African film,” died. 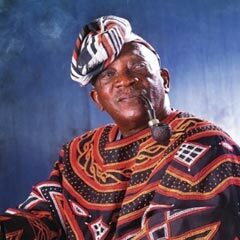 Sembene was born January 1, 1923 in Casamance, Senegal. In 1944, he was drafted into the French army to fight in World War II. In 1947, he moved to France where he discovered writers such as Claude McKay and Jacques Roumain. His first novel, “Le Docker Noir (The Black Docker),” was published in 1956. Other novels by Sembene include “Les Bouts de Bois de Dieu (God’s Bit of Wood)” (1960), “l’Harmattan (The Harmattan)” (1964), “Xala” (1973), and “Le Dernier de l’empire (The Last of the Empire)” (1981). Sembene’s goal was to reach the widest possible audience and after his 1960 return to Senegal, he realized that his books would only be read by a small cultural elite in Senegal. Therefore, he decided to become a filmmaker. He produced his first film, “Barom Sarret (The Wagoner),” in 1963. Subsequent films include “La Noire de ……” (1966), the first feature film ever released by a sub-Saharan African director, “Mandabi” (1968), “Camp de Thiaroye” (1987), and “Moolaade” (2004), which won awards at the 2004 Cannes Film Festival. Recurrent themes in Sembene’s films are the history of colonialism, the failings of religion, the critique of the new African bourgeoisie, and the strength of African women.